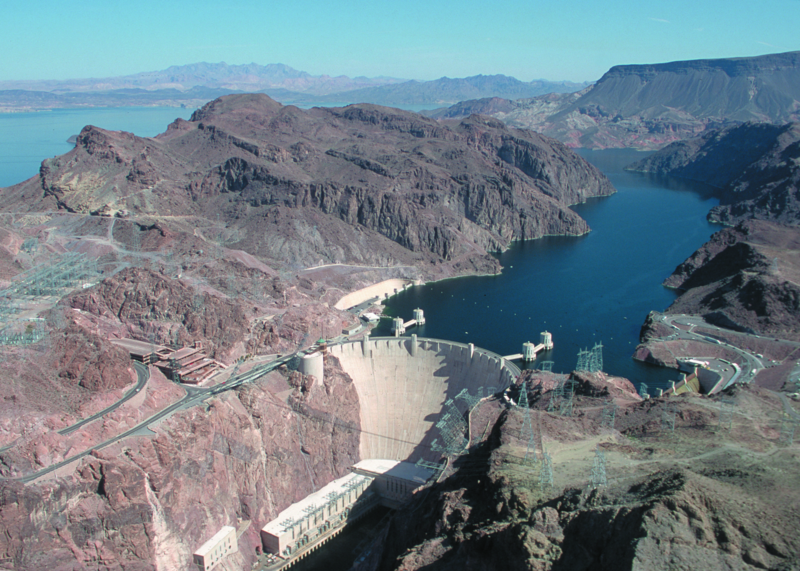 Visit the Hoover Dam; a historic achievement in engineering. Gazing upon this colossal, modern-day marvel, it’s no wonder why the Hoover Dam attracts over 1 million visitors each year. Located in the Black Canyon of the Colorado River, this mega-structure stands at over 720 ft. (Over twice the Statue of Liberty) and spans more than 1200 ft. (More than 4 football fields), bridging both the state of Arizona and Nevada. This once record-breaking landmark serves as a means of flood control, water supply, and as an alternative power source for southwestern parts of the United States. Development of the dam was initially proposed in the 1920s; however, the project didn’t begin until the spring of 1931 at the request of President Hoover. Originally known as Boulder Dam, the Hoover Dam was a 5-year construction process, creating over 5,000 jobs for the unemployed and serving as a beacon of light for many families during the Great Depression. When the dam was completed in 1936, it was renamed in honor of President Hoover. The Hoover Dam was recognized as the largest dam in the world, generating the greatest amount of hydroelectric power worldwide. Today, people from all over the world travel to the Hoover Dam to bear witness to one of the most ambitious projects of the 20th century. 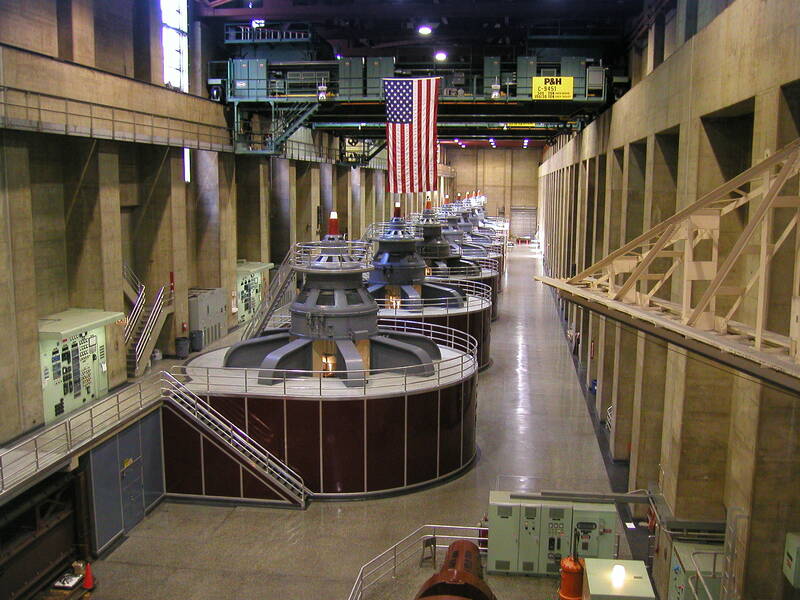 Throughout the site’s multi-level Visitor Center, guests will find a plethora of fun facts and educational information about the dam’s engineering and construction. The top floor of the Visitor Center houses the observation deck, presenting onlookers with a breathtaking, panoramic view of the Hoover Dam – also a great place for photography. As though the awe-inspiring view of the dam wasn’t enough, visitors to the Hoover Dam also get to appreciate one-of-a-kind pieces of art from renowned artist, Oskar J.W. Hansen. His most recognized piece is the Winged Figures of the Republic, which he crafted to represent the dynamic spirit of America. The real show-stopper at this must-see destination though, is the stunning view of Lake Mead and the Colorado River from the top of the Hoover Dam – the perfect blend of man-made and natural beauty. 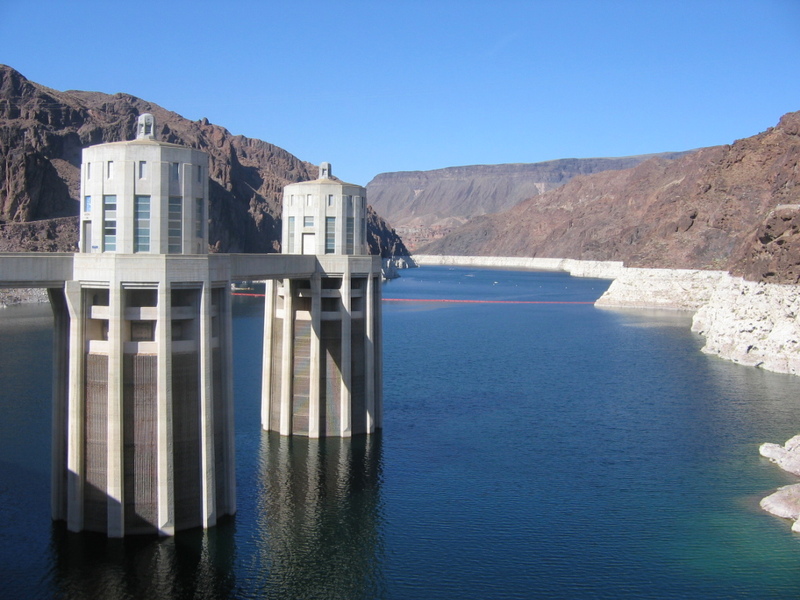 For more information on the Hoover dam go to the US Bureau of Reclamation website.